Extremely economical vacuum sweeping. Choice of high dump. Up to 7,200m²/hour. For indoor and outdoor use. 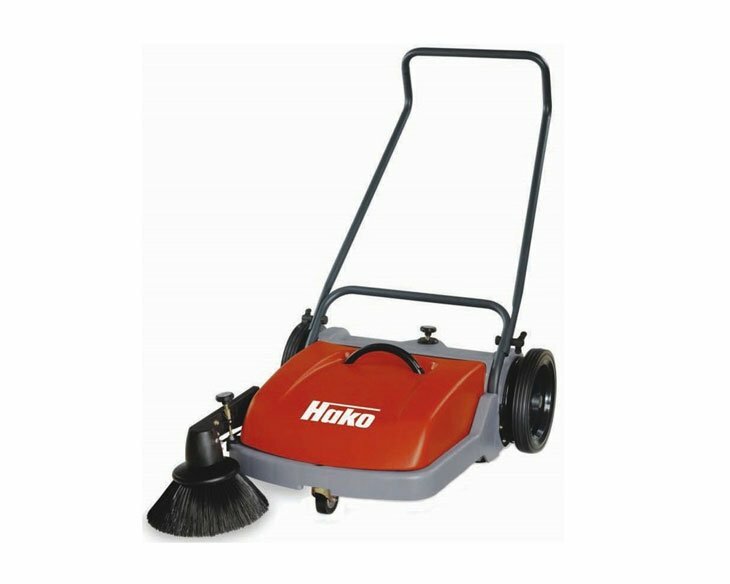 The compact, ride-on vacuum sweepers Hako Sweepmaster 980/980H. 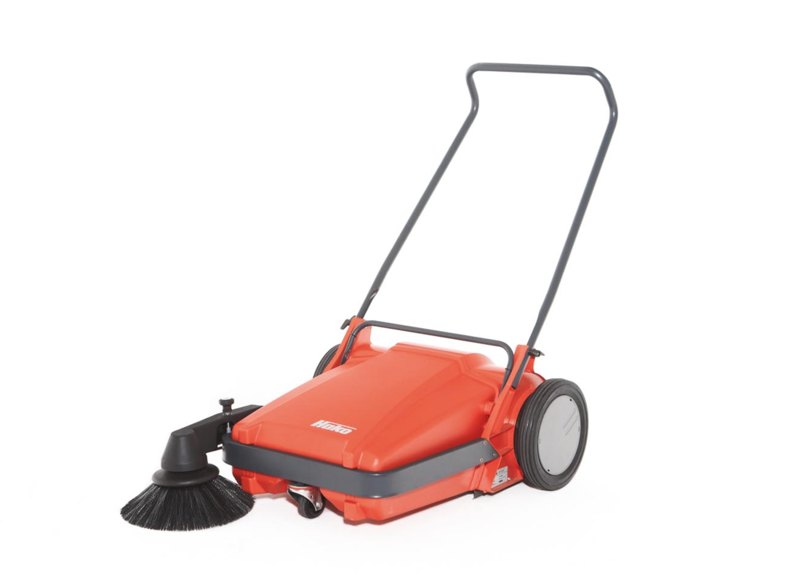 Maximally two side brooms can be fitted enabling thorough sweeping close to borders. 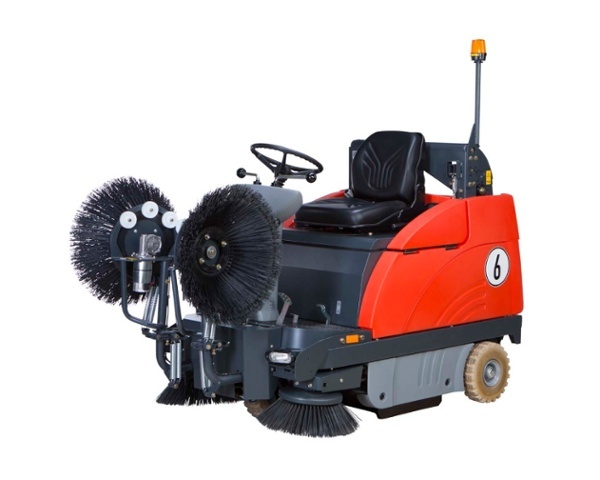 They sweep the dirt towards the large cylindrical brush which, in turn, sweeps the dirt into the dirt hopper. 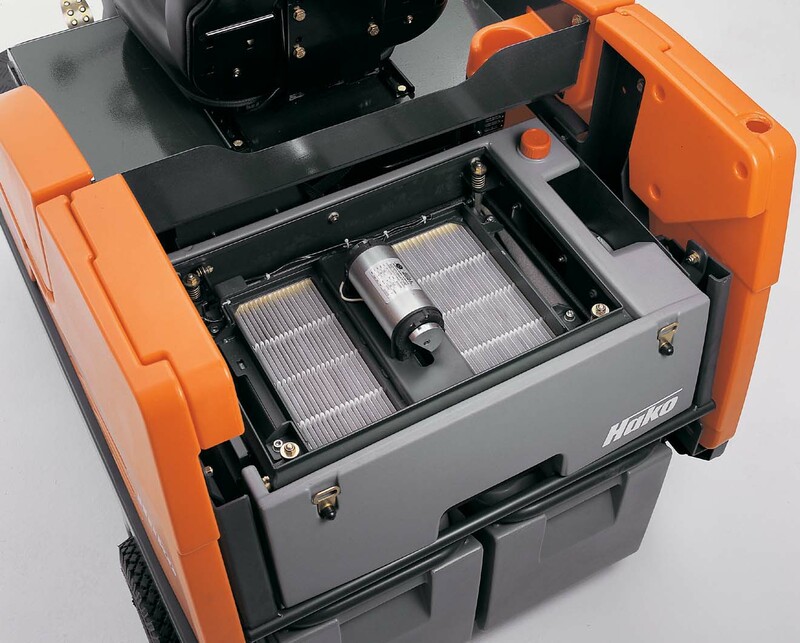 A powerful suction turbine, equipped with a panel air filter with a filtration efficiciency of over 99% and patented Hako-RS filter cleaning technology, ensures the air remains clean. 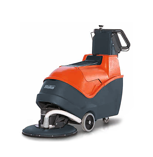 The heavy duty construction of the Sweepmaster makes it particularly robust, ensuring it can cope with continuous operation. 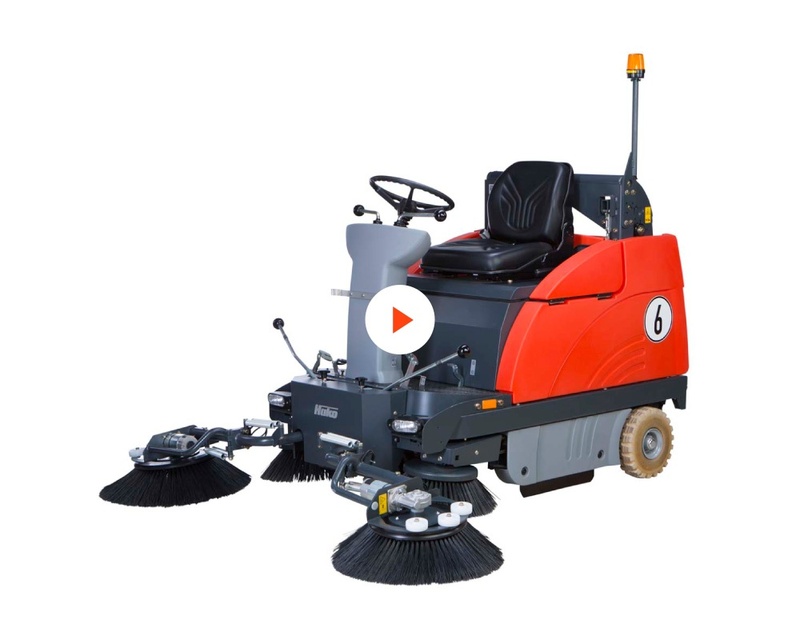 The generous dirt hopper volumes and long operating times ( up to 4.5 hours) enable uninterrupted work and optimal deployment of personnel. Depending on the model and equipment fitted, climbing capabilities up to 20 degrees can be overcome. 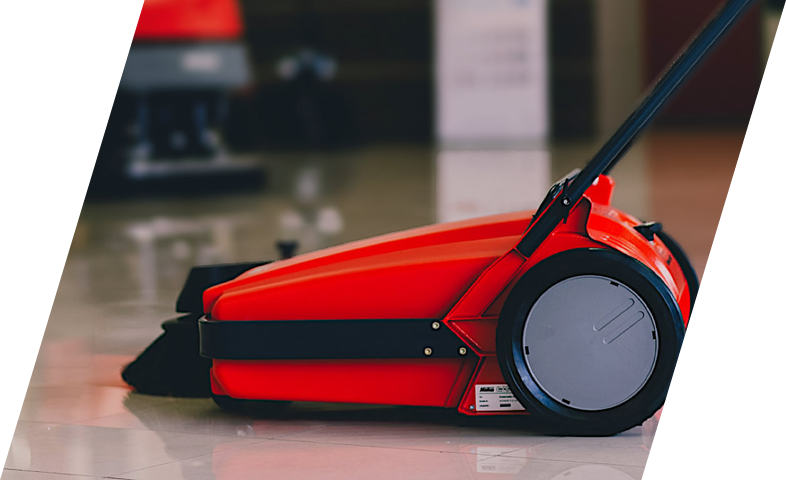 This means that there is sufficient power reserves available to clean ramps and driveways in multi-storey car parks. Added to that, a service-friendly design was considered an important factor during the construction phase. This has ensure that the well arranged engine compartment is easily accessible for maintenance and service work. 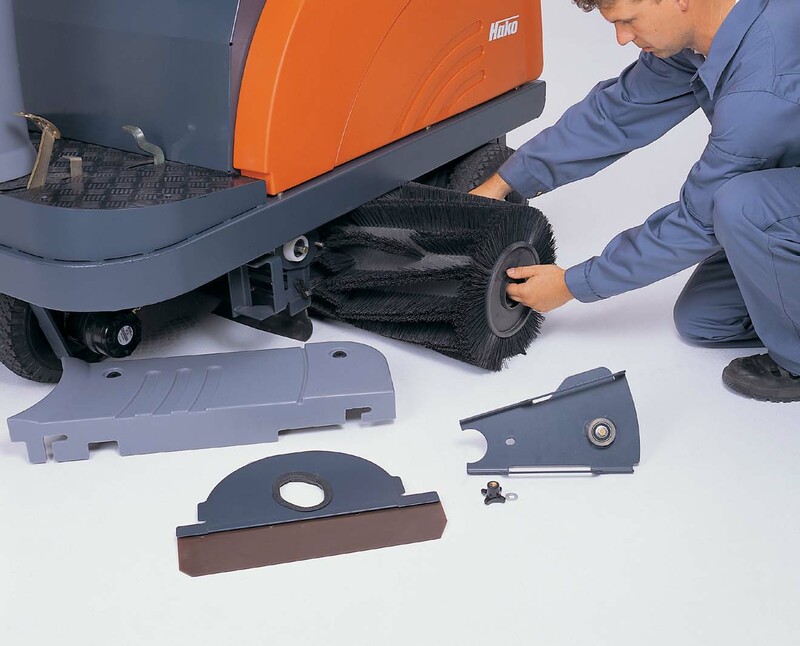 The cylindrical brush can be replaced quickly and without the need for any tools. This not only saves time but also contributes to a long service life and low overall operating costs. So, at the end of the day, it's not only well cleaned but also well saved. 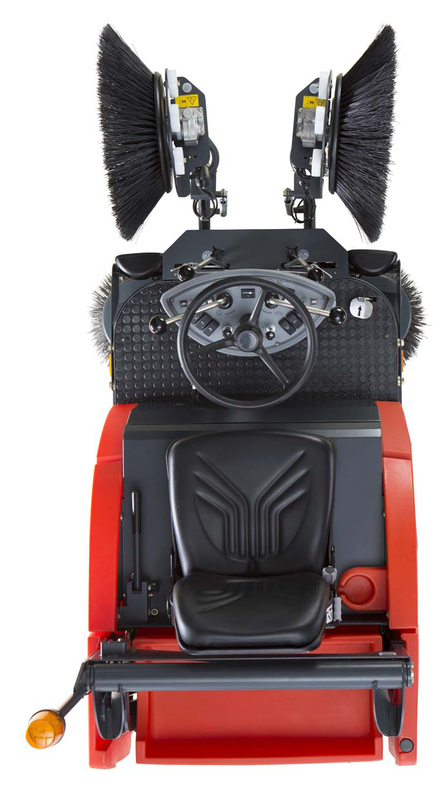 Compared to the high sweeping performance of the Sweepmaster 900 R, the Sweepmaster 980 R offers more equipment and comfort. More powerful drives, automated filter cleaning system and convenient options increase both deployment possibilities and efficiency. The Take-it-Easy dirt hopper system is fitted as a standard measure, the optional hydraulic high dump feature increases emptying convenience for larger machines in the compact class. 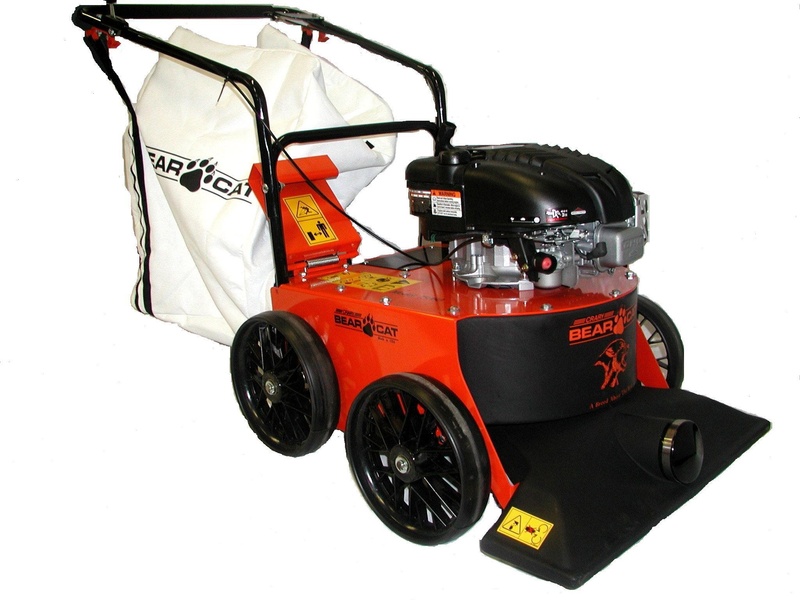 In addition to a battery drive or combustion engine, the Sweepmaster 980 R can also be equipped with an LPG system. 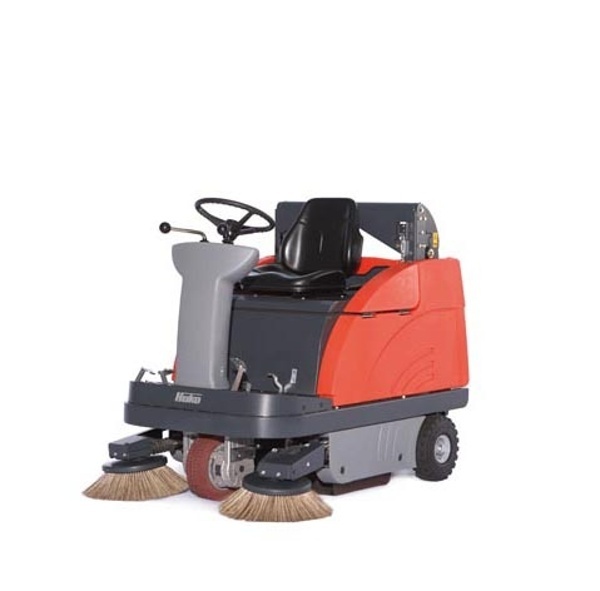 Fitted with a comfort seat, warning lights, vacuum cleaner (B version) or cab safety roof, for example, it can be tailor made to fulfil your demands.